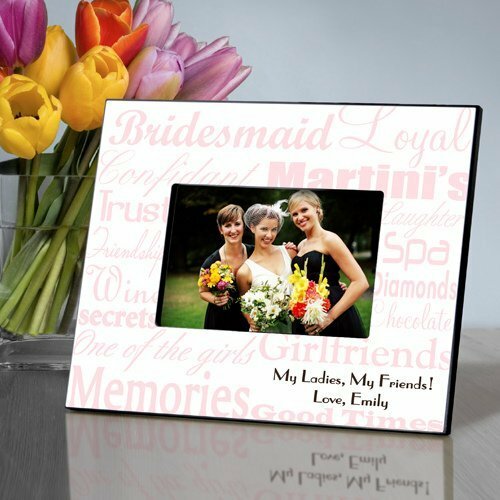 Thank each of your bridesmaids for being part of your special day with this unique bridesmaid frame that says it all! 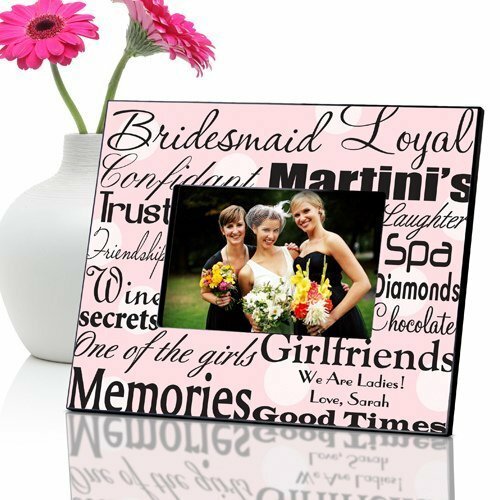 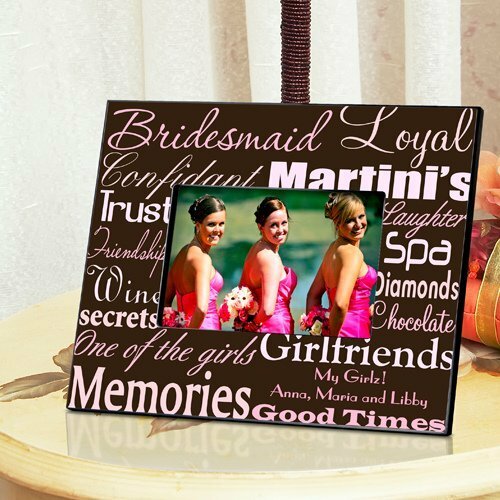 Our personalized bridesmaid picture frames are filled with words to help your attendants recall special memories you made together. 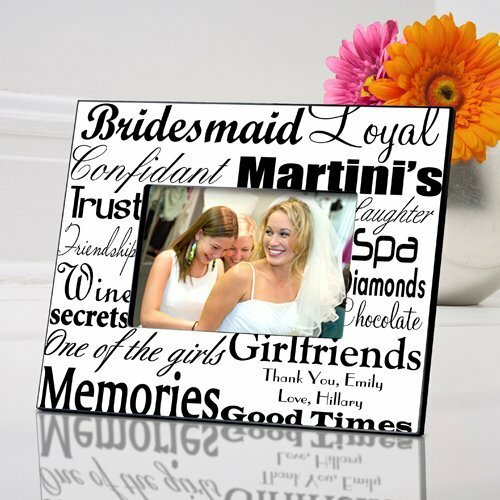 Each frame can be personalized with 2 lines (up to 20 characters per line). 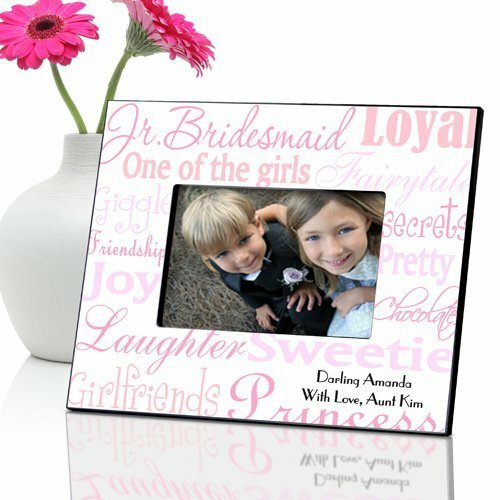 Frame measures 8" by 10" and can hold a 4" by 6" photo. 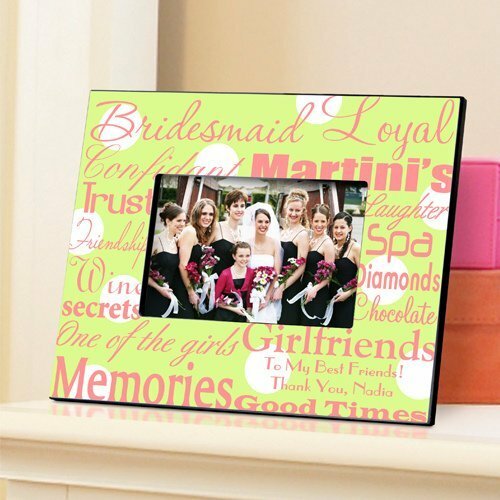 See our 7 color choices by viewing the Item Options (link located under the product image).